Broadly, normalization is a process that makes the votes more normal by conforming to some regularity. 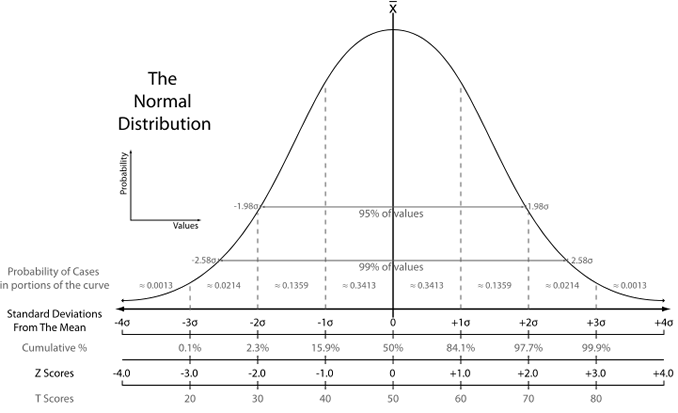 In statistics, a standard score indicates how many standard deviations an observation or datum is above or below the mean. It is a dimensionless quantity derived by subtracting the population mean from an individual raw score and then dividing the difference by the population standard deviation. This conversion process is called standardizing or normalizing. A standardized test is a test designed in such a way that the questions, conditions for administering, scoring procedures, and interpretations are consistent and are administered and scored in a predetermined, standard manner. Learn more about Standardized Tests at wikipedia.